Urban Heat Island and Outdoor Thermal Comfort can be addressed through a myriad of strategies. 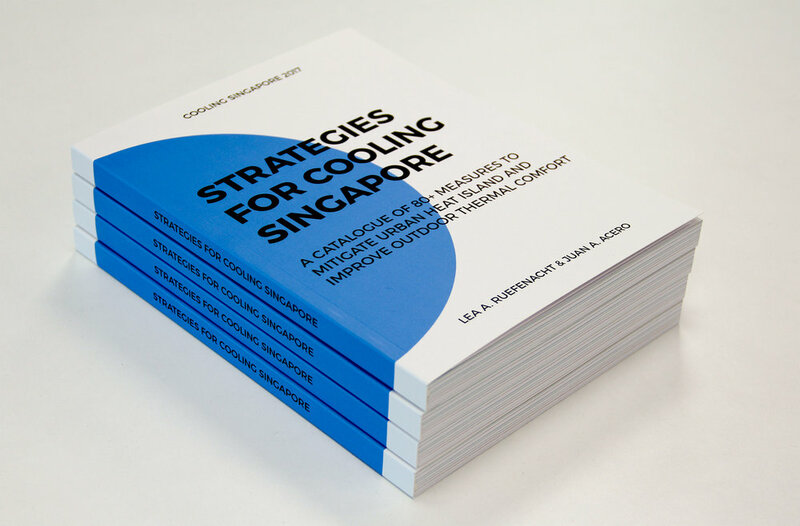 This catalogue was put together by the Cooling Singapore team as a comprehensive overview of strategies and measures that are available to mitigate UHI and improve OTC, within the local context of Singapore. The catalogue contains 86 measures, grouped in seven clusters. Each measure describes its impact towards UHI and OTC, its applicability in the tropical climate, its integration into urban planning, and its current research status. With this catalogue, the team hope to support the urban planning and design process with actionable knowledge. The content of the catalogue is based on literature review and expert knowledge from various perspectives on urban design, transport, energy, build construction, and urban climatology.